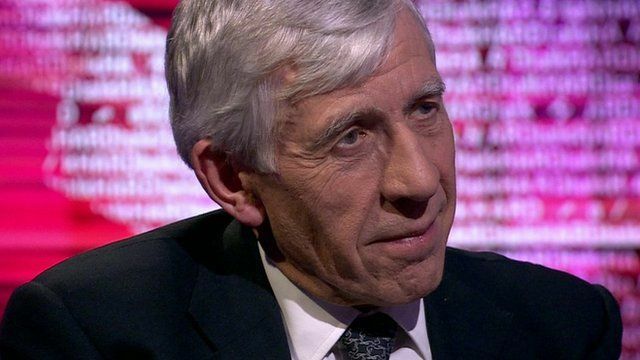 The only way the conflict in Yemen can be resolved is by negotiations with Saudi Arabia and Iran, the former UK foreign secretary Jack Straw has told BBC HARDtalk. He added that UK involvement in the form of providing technical support for Saudi Arabia should be withdrawn and a political solution to the Yemeni civil war pursued. "Unless there is a far, far better explanation offered about what we are doing supporting the Saudis in Yemen, we should withdraw that support and work for a political solution." Air strikes and fighting on the ground have killed about 5,800 people, about half civilians, since March 2015 according to the UN. Some see the conflict as a proxy war between Saudi Arabia and Iran. Watch the full interview on BBC World News at 20:30 GMT on Tuesday 19 January 2016 and 00:30 GMT on Wednesday 20 January 2016. Or watch on BBC iPlayer (UK only).